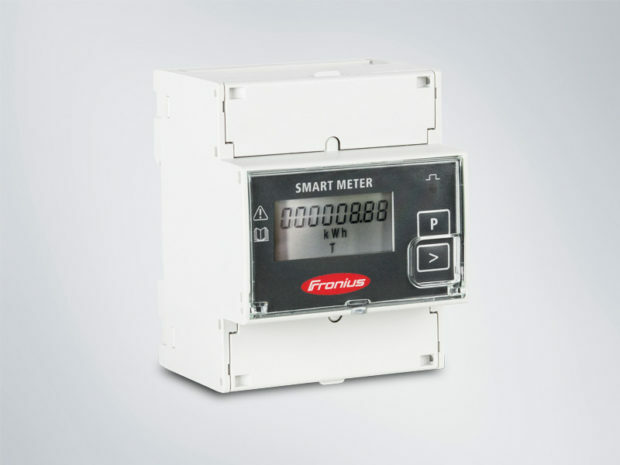 Fronius is launching its Smart Meter to manage PV feed-in limits and monitor energy consumption. The Fronius Smart Meter measures the electricity consumption of a building and communicates in real time with the inverter, which then controls the system’s output power to keep the electricity fed into the grid at or below the feed-in limit. An increasing number of grid operators set feed-in limits for grid-connected solar systems. The global smart meters market is estimated to grow from an expected $11.1 billion in 2014 to $18.2 billion by 2019, at a CAGR of 10.2 percent from 2014 to 2019, according to a study by MarketsandMarkets. Thanks to high accuracy and fast communication via Modbus RTU, the Fronius Smart Meter is suitable for various dynamic feed-in management applications. “We are excited to offer a simple and cost-effective solution for self-consumption systems that require dynamic feed-in management. This will help to further increase solar penetration in our electrical grid”, says Tristan Kreager, Director of Solar Energy at Fronius USA, based in Portage, Indiana. The product will begin shipping immediately. In conjunction with Fronius Solar.web, the Fronius Smart Meter offers a detailed overview of energy flows within a home or business. In addition to the solar production data, customers get a detailed visualization of their energy consumption and can optimize their energy usage based on the individual load curve. This gives installers the opportunity to design tailored energy solutions to home- or business-owners and to up-sell to them in the future. “For installers, Fronius Solar.web is a lead database for future sales and we can help our installers to grow their business,” Kreager explains. The Fronius Smart Meter is compatible with all Fronius inverters with an integrated Fronius Datamanager 2.0 (RS485 interface for Modbus RTU), which is included in Fronius Galvo and Fronius Primo inverters. The Fronius Datamanager 2.0 can also be added to any Fronius Symo, Fronius IG, IG Plus and IG Plus A inverter.